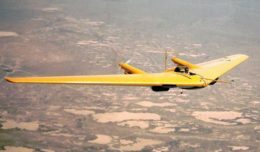 Air Force Brig. 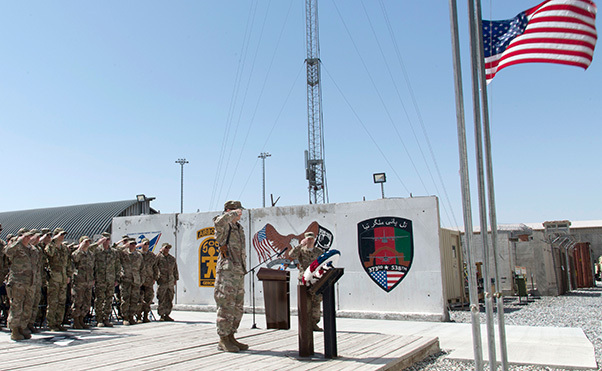 Gen. Phillip Stewart, commander of the 438th Air Expeditionary Wing and Train, Advise, Assist Command-Air, salutes a wreath during a Memorial Day service in Kabul, Afghanistan, May 28, 2018. Three years after the Civil War ended, on May 5, 1868, the head of an organization of Union veterans — the Grand Army of the Republic — established Decoration Day as a time for the nation to decorate the graves of the war dead with flowers. 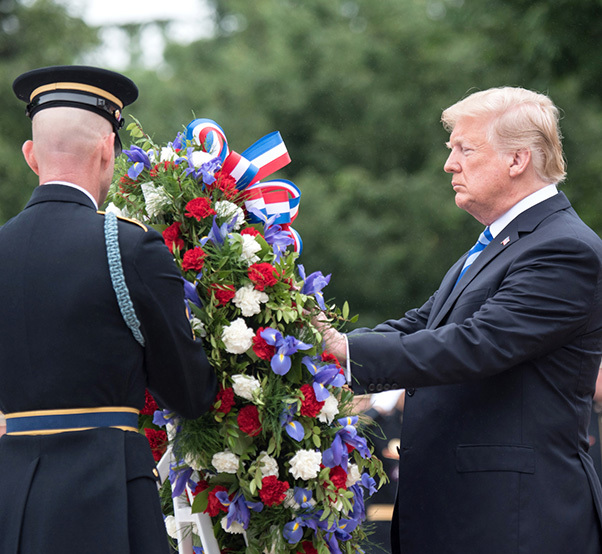 President Donald J. Trump places a wreath at the Tomb of the Unknown Soldier, as part of the 150th annual Defense Department National Memorial Day observance hosted by Defense Secretary James N. Mattis at Arlington National Cemetery in Arlington, Va., May 28, 2018. Today, cities in the North and the South claim to be the birthplace of Memorial Day in 1866. Both Macon and Columbus, Ga., claim the title, as well as Richmond, Va. The village of Boalsburg, Penn., claims it began there two years earlier. A stone in a Carbondale, Ill., cemetery carries the statement that the first Decoration Day ceremony took place there on April 29, 1866. Carbondale was the wartime home of Gen. Logan. Approximately 25 places have been named in connection with the origin of Memorial Day, many of them in the South where most of the war dead were buried. In 1966, Congress and President Lyndon Johnson declared Waterloo, N.Y., the “birthplace” of Memorial Day. There, a ceremony on May 5, 1866, honored local veterans who had fought in the Civil War. Businesses closed and residents flew flags at half-staff. Supporters of Waterloo’s claim say earlier observances in other places were either informal, not community-wide or one-time events. In 1971, Memorial Day was declared a national holiday by an act of Congress, though it is still often called Decoration Day. It was then also placed on the last Monday in May, as were some other federal holidays. Members of the U.S. 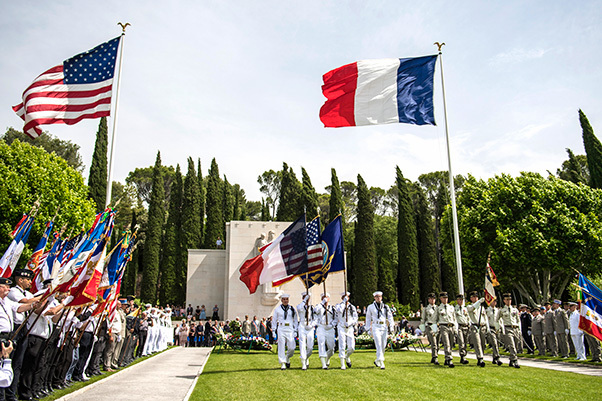 Naval Hospital, Naples color guard participate in a Memorial Day ceremony at Rhone American Cemetery, Draguignan, France, May 27, 2018. The ceremony was in remembrance of the service members who fought and died to liberate southern France during World War II. Many Southern states also have their own days for honoring the Confederate dead. Mississippi celebrates Confederate Memorial Day on the last Monday of April, Alabama on the fourth Monday of April, and Georgia on April 26. North and South Carolina observe it on May 10, Louisiana on June 3 and Tennessee calls that date Confederate Decoration Day. Texas celebrates Confederate Heroes Day January 19 and Virginia calls the last Monday in May Confederate Memorial Day. The crowd attending the first Memorial Day ceremony at Arlington National Cemetery was approximately the same size as those that attend today’s observance, about 5,000 people. Then, as now, small American flags were placed on each grave — a tradition followed at many national cemeteries today. In recent years, the custom has grown in many families to decorate the graves of all departed loved ones. Army Brig. Gen. Kate Leahy, deputy commanding general for Mobilization and Reserve Affairs of U.S. Army Europe, and Command Sgt. 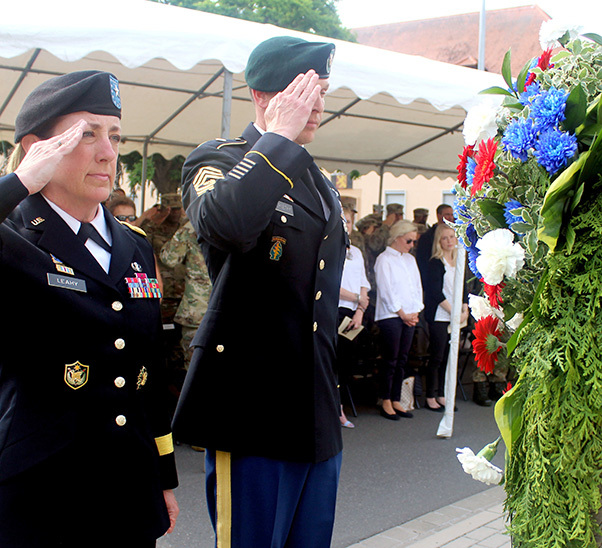 Major Robert Abernethy, USAREUR senior enlisted advisor, render salutes during a Memorial Day ceremony at Lucius D. Clay Kaserne, Wiesbaden, Germany on May 24, 2018. The ceremony was conducted to honor and remember those who have given their lives while serving in uniform. To ensure the sacrifices of America’s fallen heroes are never forgotten, in December 2000, the U.S. Congress passed and the president signed into law “The National Moment of Remembrance Act,” P.L. 106-579, creating the White House Commission on the National Moment of Remembrance. 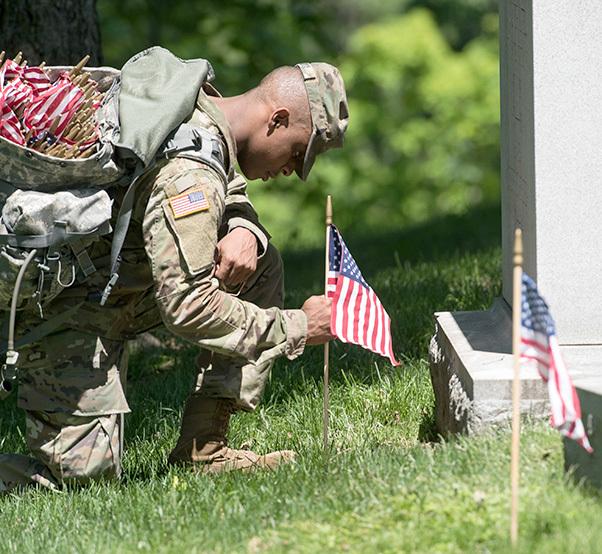 A soldier assigned to the 3rd U.S. Infantry Regiment (The Old Guard), participate in “Flags In” at Arlington National Cemetery in Arlington, Va., May 24, 2018. Editor’s note: Information courtesy of www.va.gov. 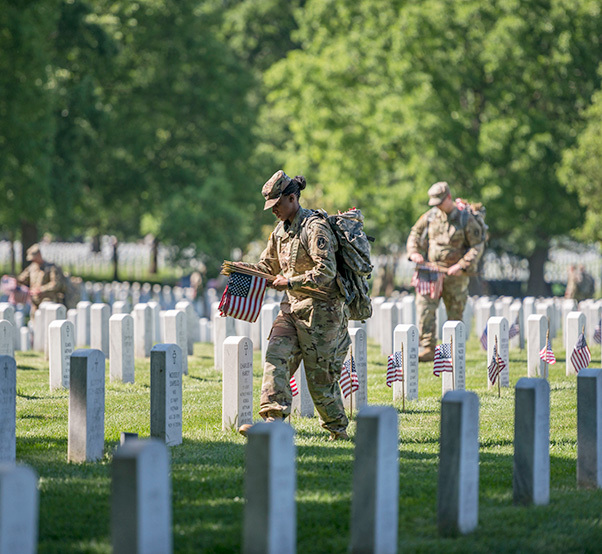 Soldiers assigned to the 3rd U.S. Infantry Regiment, known as “The Old Guard,” place American flags in front of headstones during “Flags In” at Arlington National Cemetery in Arlington, Va., May 24, 2018.